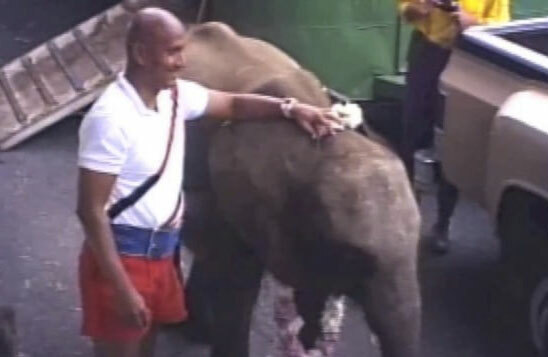 In 1986, just 13 months after beginning his weightlifting journey, Sri Chinmoy lifted an elephant in Conneticut. Interviewed by a TV presenter, Sri Chinmoy was asked what he hoped to show from this kind of lift. Sri Chinmoy replied that he hoped to show that we can all gain physical strength from our spiritual source.